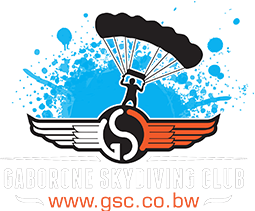 Come and enjoy an eagle’s view of Botswana! 12 - 15 July 2019 - Hurry! Slots are limited! Discounted registration until 31 May 2019! 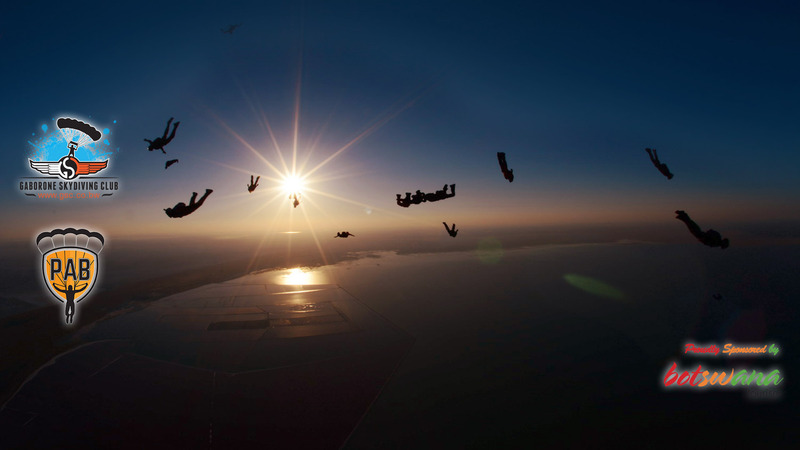 The Makgadikgadi Epic Skydiving boogie and symposium is one of the most unforgettable experiences imaginable and is scheduled from the 12th until the 15th of July 2019! The Makgadikgadi Epic, hosted alongside the salt pans of the Makgadikgadi in one of the most scenic parts of northern Botswana, truly is something to experience. Blue wildebeest and flamingos are some of the animal wildlife you will see on your way to boarding point every day. 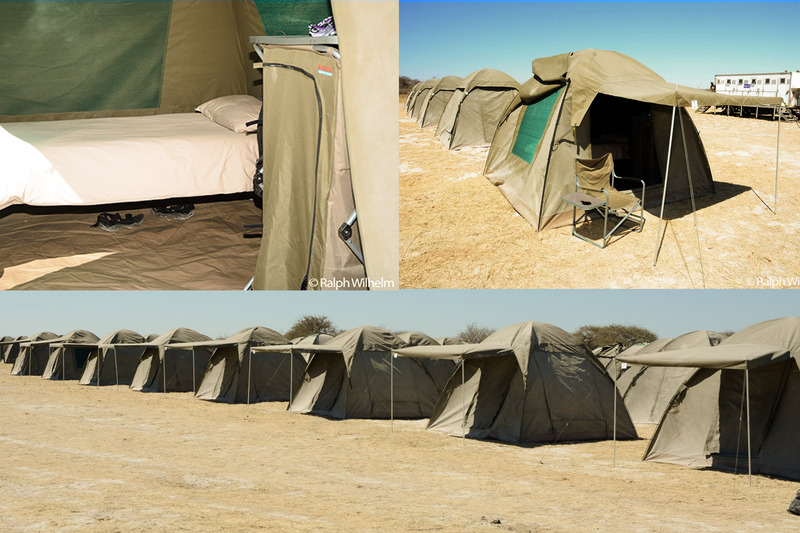 The Botswana Tourism Organisation makes sure that you are settled in in a comfortable tent (this is Africa, right?) with crisp linen beds and a handy, true camping style wardrobe. 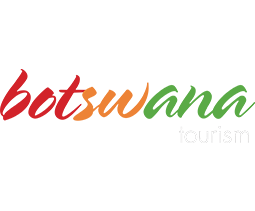 The food is immaculate, offering a buffet three times a day with the best African Cuisine and more meat than you can handle. However, they also cater in the best vegetarian dishes, salads and fruits. Oh! 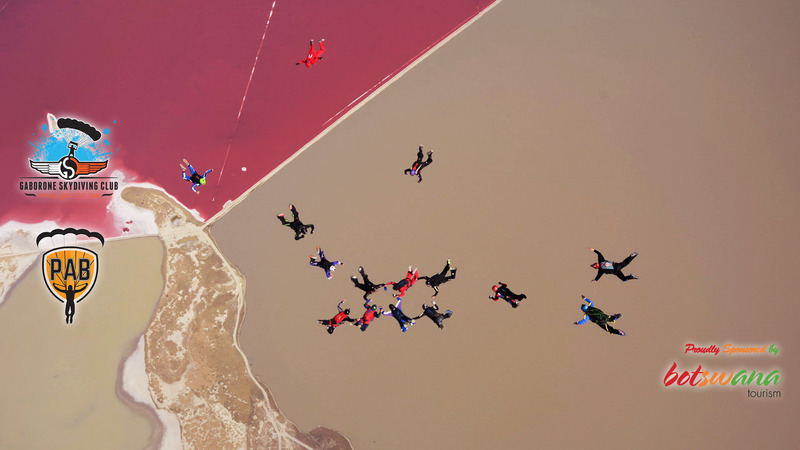 Most importantly – this is a skydiving event. 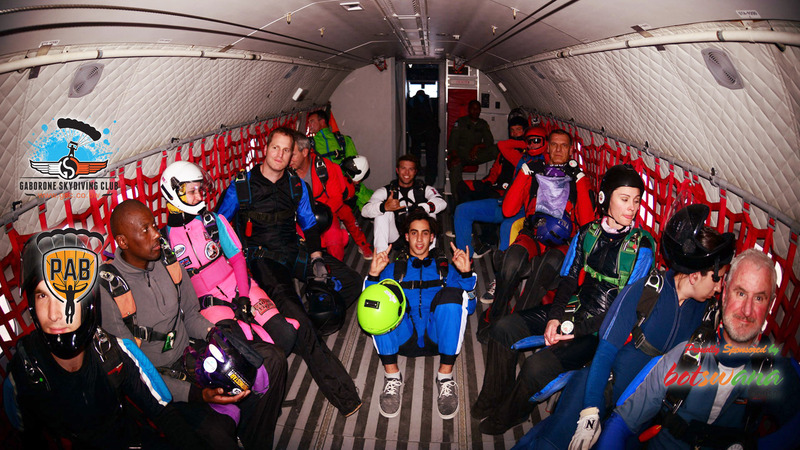 We are being spoiled over the 4 day duration with a CASA 235 tailgate that can accommodate up to 40 skydivers. This plane will be what we start off with for the first day. 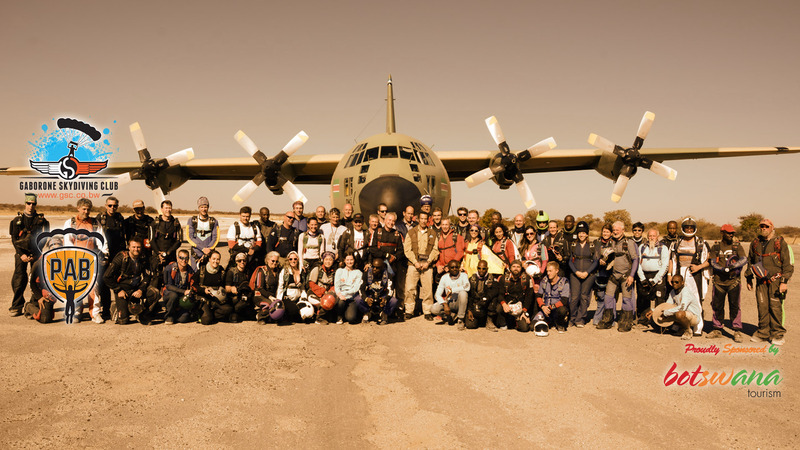 To spice it up, the Botswana Defence Force will throw in a Hercules C130 together with the Casa 235 for the next three days. Seeing that we have big planes, we just had to get the big guns in to organise some Big Ways over Africa, but there's tons of room for all disciplines! This boogie caters for each and every preference, but wait! You cannot visit Africa without seeing the very best Botswana has to offer! 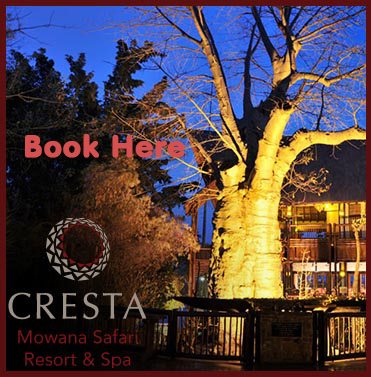 We are negotiating discount vouchers that will be complimentary with registration where you can enjoy a three day two night Safari experience in the very best lodges next to the Chobe River where you can take sunset booze cruises while being entertained by Elephant, Buffalo, Hippos and Crocodiles on the river banks. You will also be within driving distance to and from Victoria Falls, one of the most scenic experiences and one of the seven natural wonders of the World! *All of these discounted rates are established using the current lodge rates as at 1 March 2019. 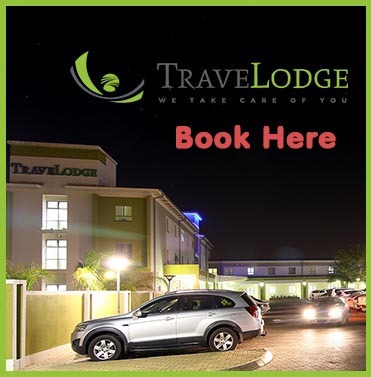 *Current Lodge Rates may change by the time of the event but we endeavor to keep the negotiated prices as close to these advertised prices as possible. *Please book with the lodges as soon as possible to avoid disappointment. Getting there is real easy. Simply book your tickets to Kasane International Airport where our shuttles will collect you and drive you to the DZ and then back for your return flight after the boogie! $1500 for Everything ! Early-Bird Special! 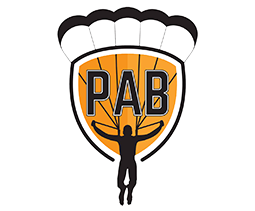 Registrations before 31 May 2019 pay only $1050!